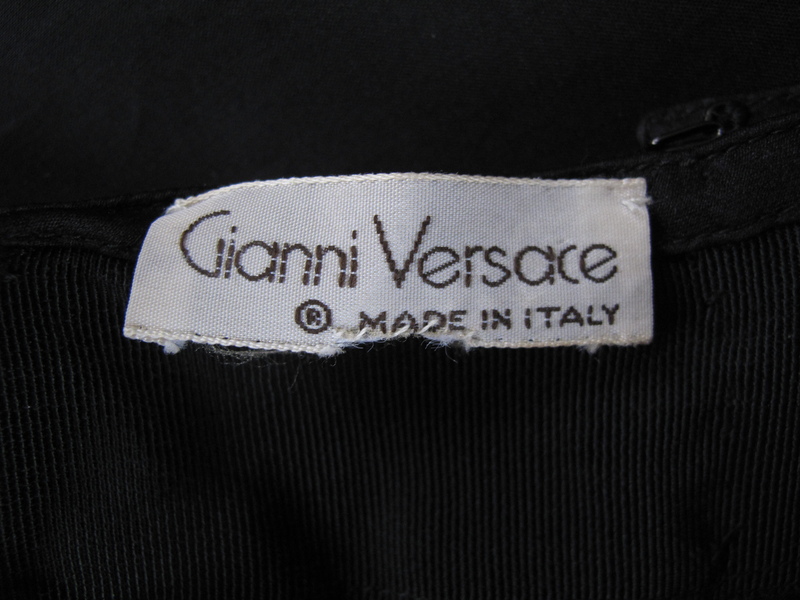 1980's Gianni Versace wrap around skirt. Collectors item - in mint condition. 2 buttons, 1 eye hook and velcro fastening. Vertical stripe pattern diamante on one side. 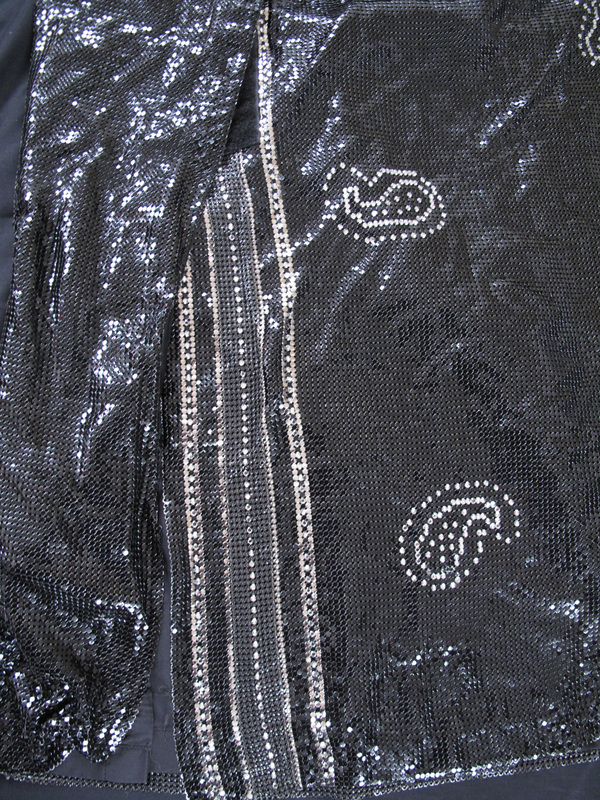 Tear drop diamante pattern across rest of skirt.